GREENBELT, Md. (NASA PR) — In April 2018, NASA launched the Transiting Exoplanet Survey Satellite (TESS). Its main goal is to locate Earth-sized planets and larger “super-Earths” orbiting nearby stars for further study. One of the most powerful tools that will examine the atmospheres of some planets that TESS discovers will be NASA’s James Webb Space Telescope. 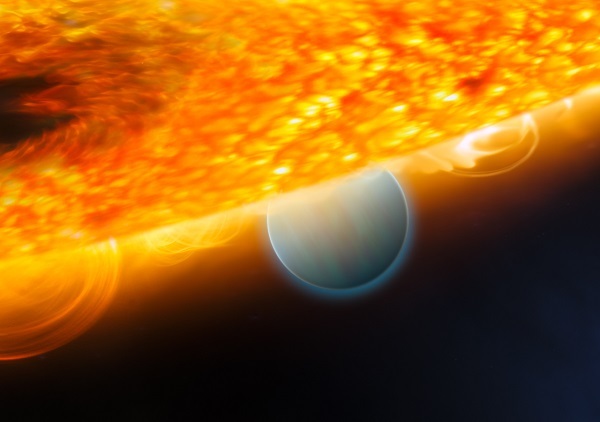 Since observing small exoplanets with thin atmospheres like Earth will be challenging for Webb, astronomers will target easier, gas giant exoplanets first. This is so transparent. They just announce a giant cost overrun AND schedule slip to JWST on top of a report detailing glaring development errors, and now comes a story about how we absolutely need it and must press on with it. Naturally there is also the blurb at the end about International involvement to drive home the meme that we cannot get rid of it without letting them down too.